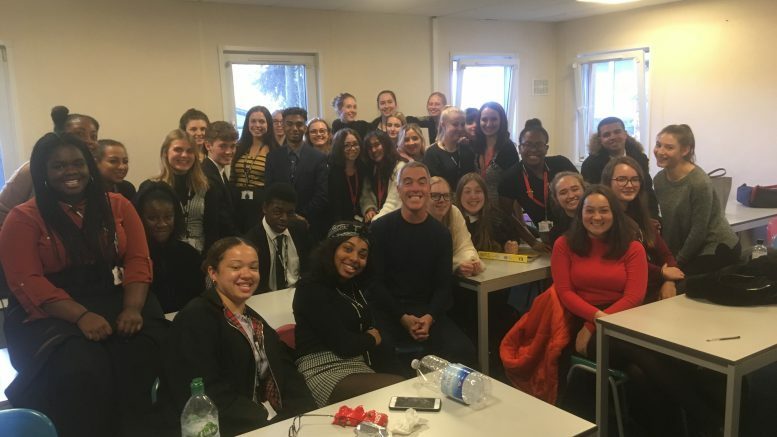 Actor James Nesbitt, known for his roles in Cold Feet and Murphy’s Law, visited Langley Park School for Girls (LPSG) last month to give the pupils an insight into the world of media. With a father who was a primary school headteacher and three older sisters, all of whom were teachers, the Northern Irish actor knows the importance of education. In his role as chancellor of the University of Ulster, he has been a strong advocate for young people’s access and participation in higher education. Nesbitt visited LPGS to promote the relaunched media department at the school and to talk to students about the importance of studying in this particular industry. With one in six new jobs in London last year being created in the media sector and with women still under-represented in the top jobs, LPGS is hoping to encourage its students to strive for those roles. Whilst at the school, Nesbitt talked to drama students and the wider student body as a whole. Be the first to comment on "TV star visits Beckenham girls’ school"